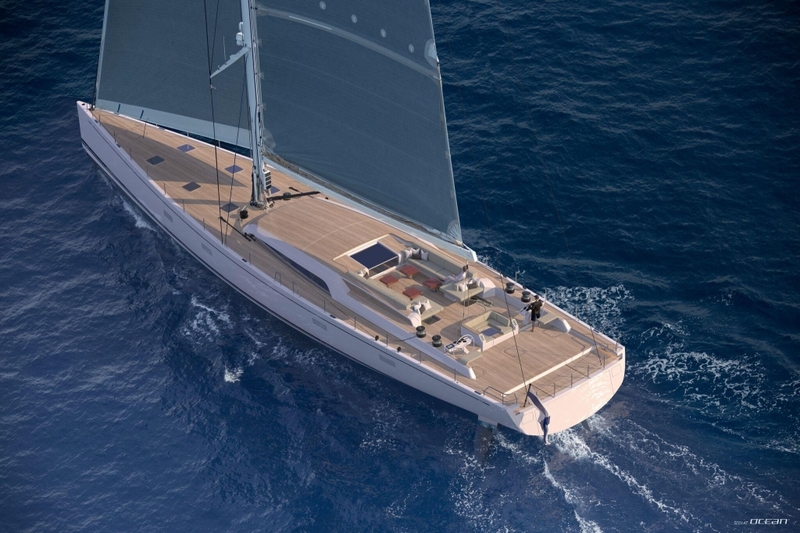 Nautor's Swan 120 luxury sailing yacht is coming! Resetting the bar for its size the new MaxiSwan flagship delivers unparalleled comfort for long and safe cruising passages as well as the latest construction techniques and materials. 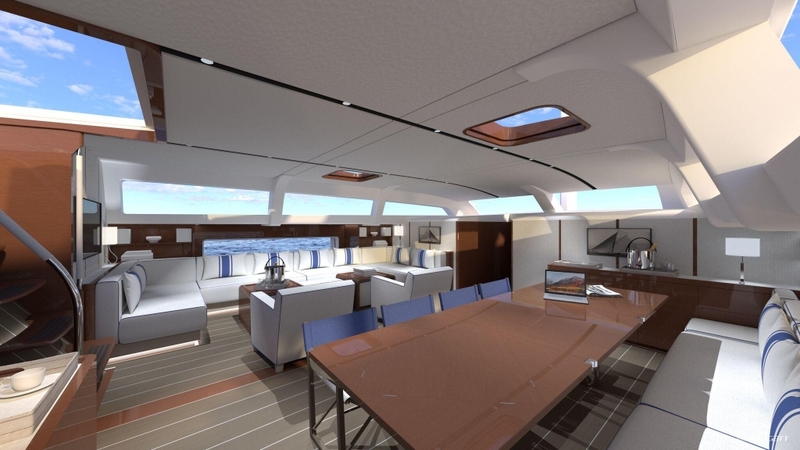 The result is a redefinition of a next-generation performance superyacht design. 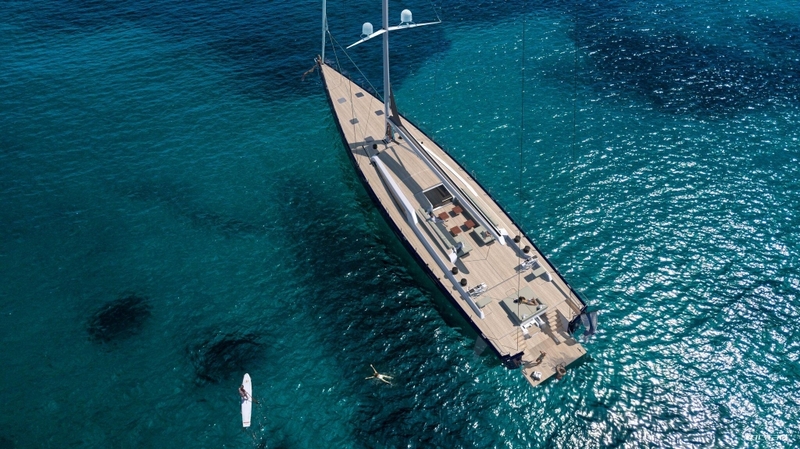 All carbon built Nautor's Swan 120 luxury maxi cruiser has been penned by who else than Germán Frers featuring an interior style by Genoa-based designer Misa Poggi. 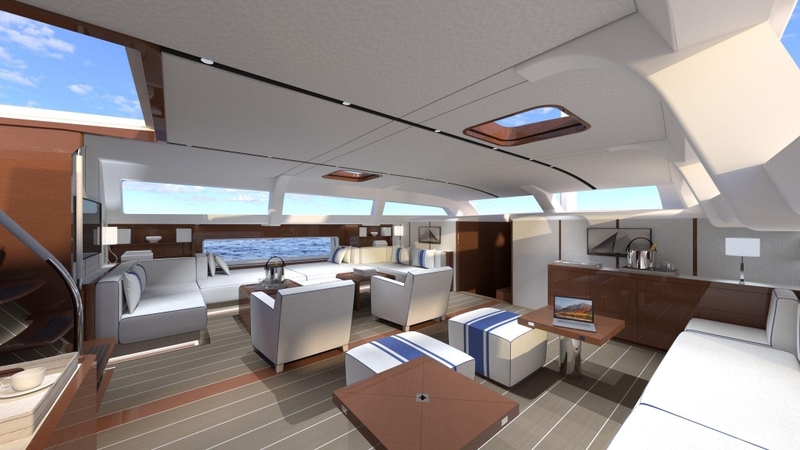 The new MaxiSwan flagship Swan 120 features an electronic bimini top and sprayhood and aisle seats to enhance sailing and leisure experience. In-between the helming stations, it is possible to incorporate a ‘snug-island’, which provides protected access to the aft accommodation with a dodger, sprayhood and cozy seating for those on watch. 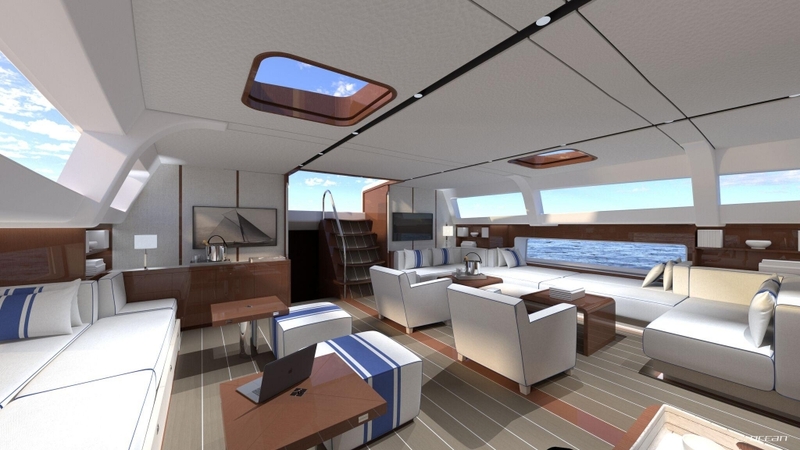 The transom of the Swan 120 will gain most of the attention: Folding down hydraulically to form a teak deck swimming platform, the transom reveals spacious storage for water toys and a tender. Once the tender is launched this beach deck becomes available for sunbathing, watersports and even for a breakfast closer to sea level. In addition to the stern platform swinging down, a section of the aft-deck may be opened up to convert into a large sunbed at deck level. 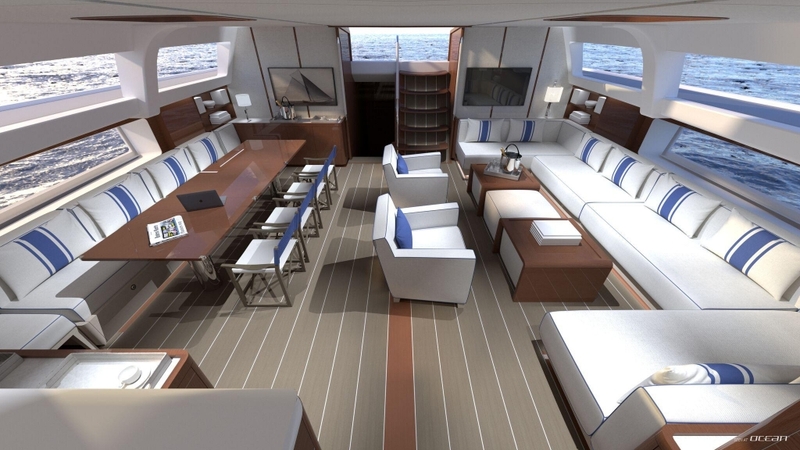 Nautor's Swan 120 luxury performance yacht will be available with either the owner's stateroom forward or aft. Three guest cabins with ensuite bathrooms are styled with the same finest Italian textiles and leathers to create a welcoming ambiance in comfort and luxury. 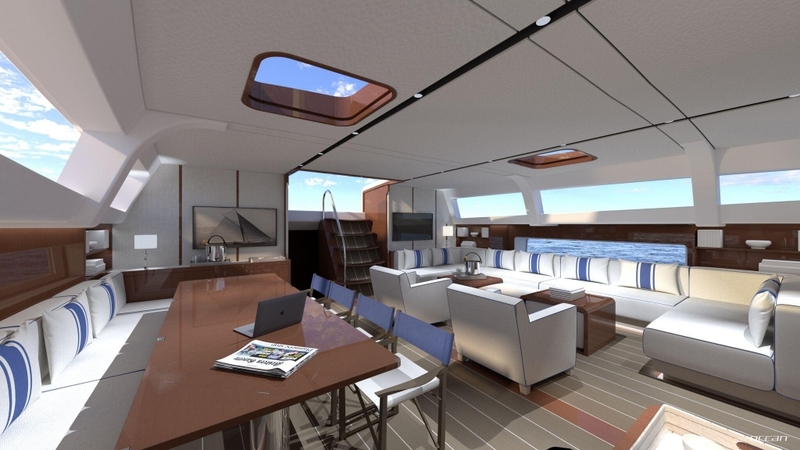 The access to the saloon is via a 1.8m wide companionway of curved glass providing easy access but also allowing natural light to lit the interior. 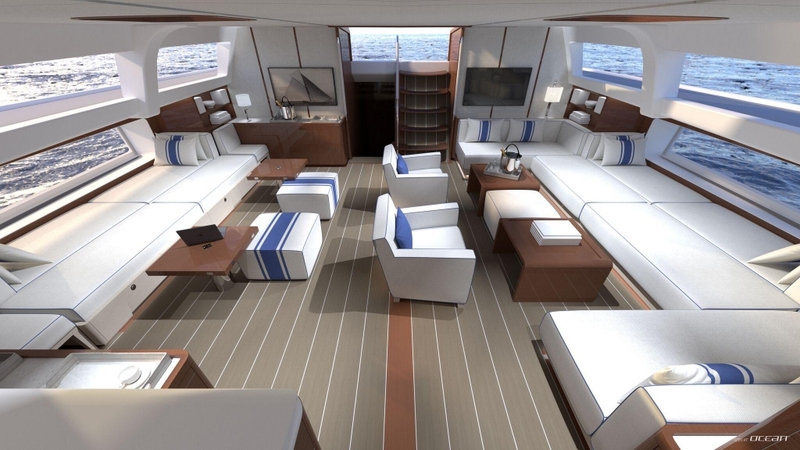 A comfortable lounge area is found to port and a dining to starboard. 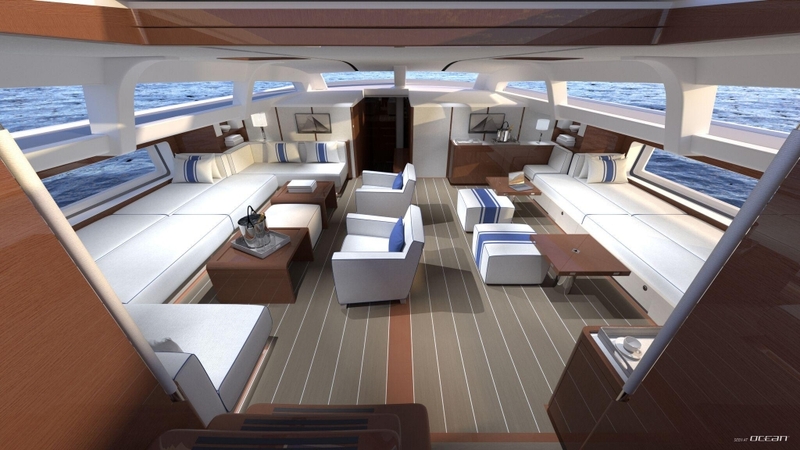 The Swan 120 yacht also offers a unique saloon layout option that features a large hull window adjacent to daybeds. This soft-furnished space is perfect while under sail or just before the night falls. 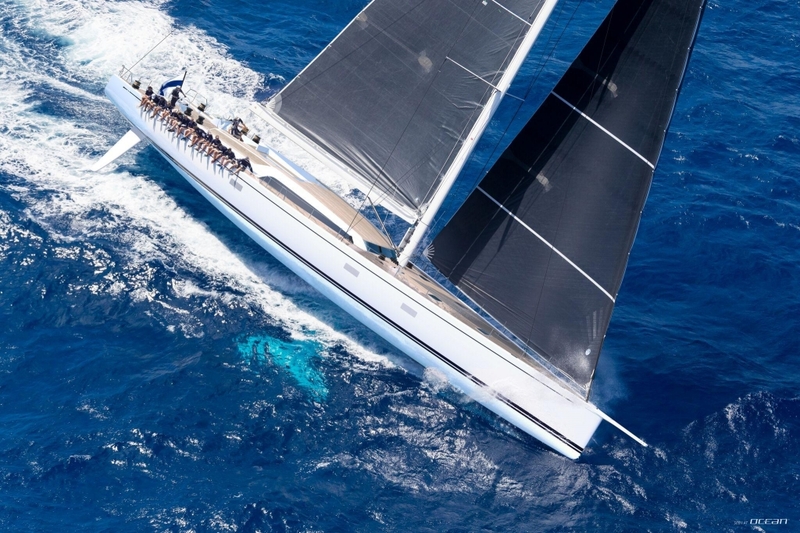 Three sail-plan configurations of Swan 120 flagship echo the diversity of approach to the sport of sailing paying attention to different owners favoring different sailing grounds. Capable of world-girdling exploits to concentrating exploration of the Mediterranean, Caribbean or Pacific, the emphasis will always respond to the needs. 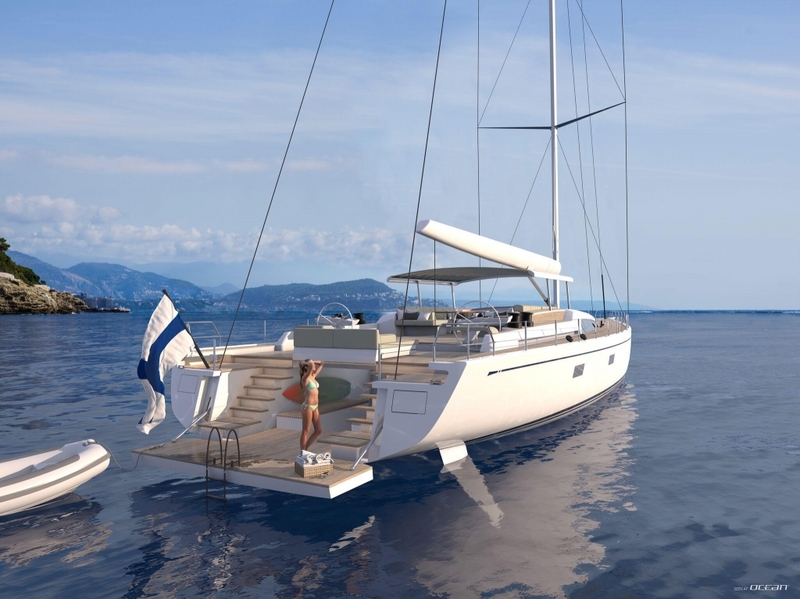 The telescopic keel is capable to reduce draught from 5.50m to just 3.50m allowing the yacht to be anchored in shallow waters without compromising performance. 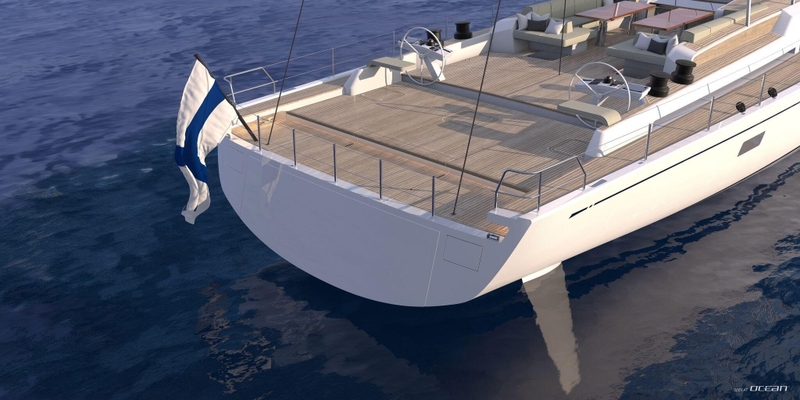 The Swan 120 sailing yacht will also be available in a sportier competition version with a comprehensive racing package that includes a square-top mainsail with running backstays; a double-length bowsprit with bobstay for fast reaching with powerful masthead gennakers and even the option to integrate a concealed anchor system. Being a true Nautor's Swan the new flagship of the MaxiSwan series replaces the Swan 115 for charter and sets the new Swan 120 apart from other luxury performance yachts of similar size. 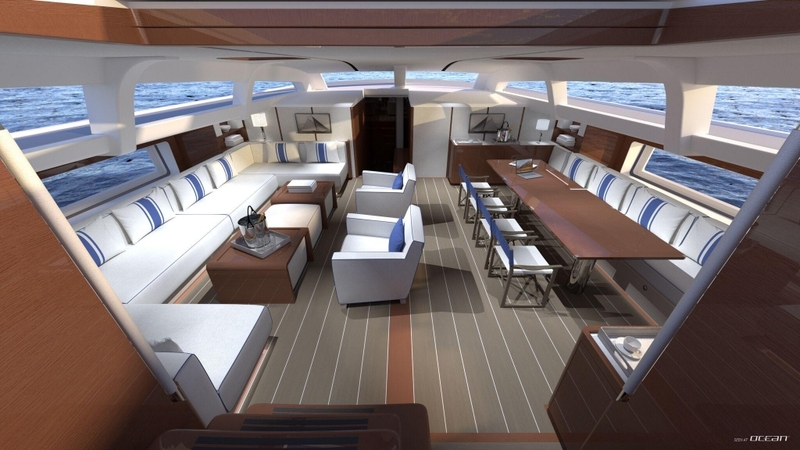 Please bear with us, we bet soon having a Swan 120 sailing yacht for charter. 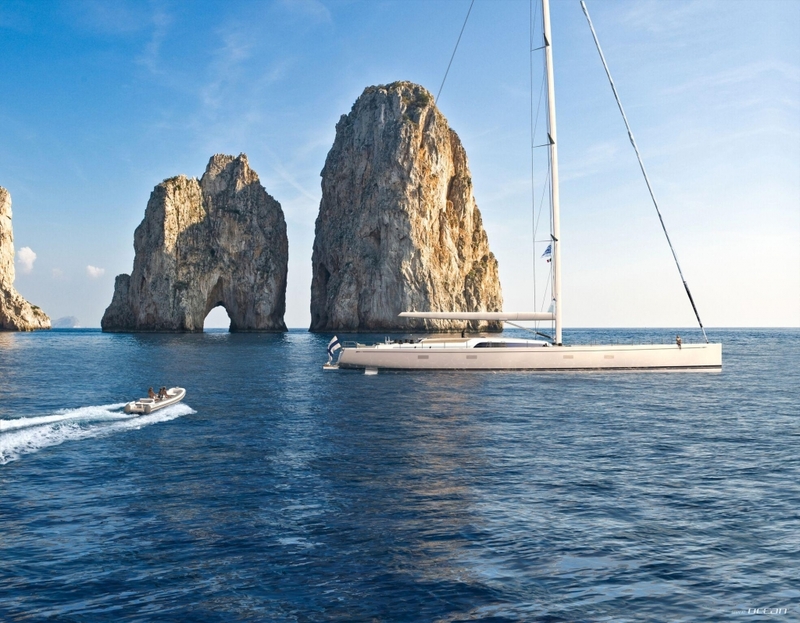 It will not take too long until the first unit joins our luxury sailing yacht charter fleet. Until then, please feel free to contact us for Swan 115 yacht for charter. 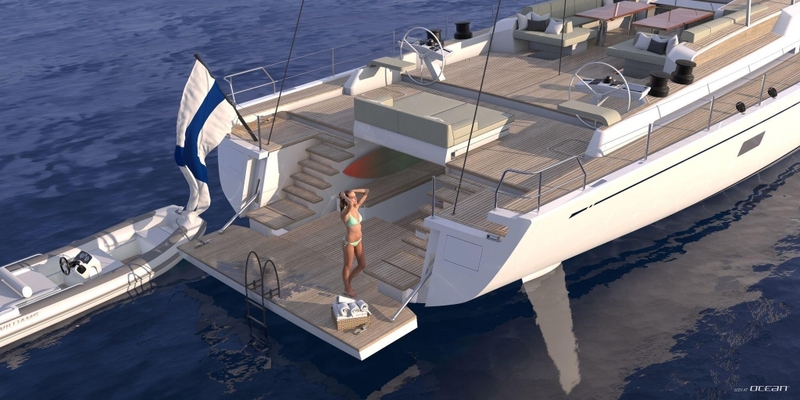 The base price of the new Nautor's Swan is 16.000.000 EUR. Please contact OCEAN if you are interested to purchase a Swan and to participate in our charter management programs.